The blaze broke out on Tuesday morning at Hotel Arpit Palace in New Delhi, AFP reported, citing the director of Delhi Fire Services. According to local media reports, at least 17 people have died in a fire and four others were injured. Local rescue emergency services have responded to the site of the accident. 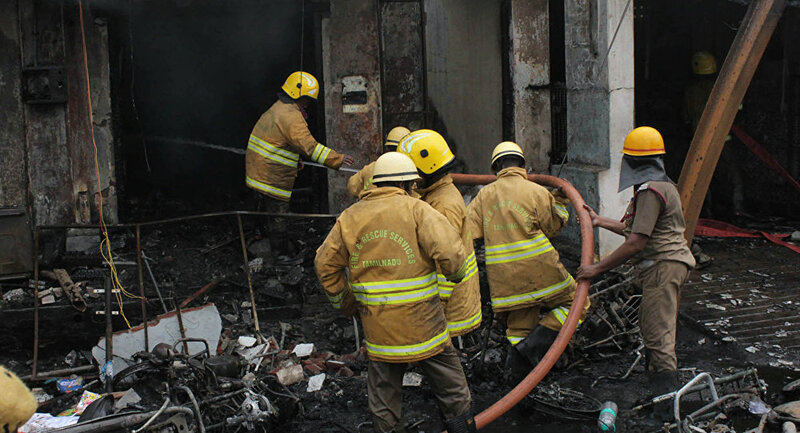 According to The New Indian Express newspaper, the fire has been extinguished. The director of Delhi Fire Services told AFP earlier in the day that nine people were dead, including a woman and a child. Deputy Chief Fire Officer Sunil Choudhary said, cited by The New Indian Express, that "those injured have been sent to hospital. Two hotel staff members had jumped from the fourth floor of the hotel in an attempt to save themselves. The status of the staff who jumped is yet to be known". According to media reports, cause of the fire has not been established. Local authorities have launched the investigation into the incident. 35 people were reportedly rescued, and all of them who sustained injuries were taken to hospital. A local fire officer told the Asian News International (ANI) agency that people could not use corridors to evacuate since there was a wooden paneling there.